Civil Engineering as a multifaceted branch, has wider applications. Its main sub-disciplines include Environmental engineering, Geo-technical engineering, Geology, Transportation engineering, Earth Sciences, Atmospheric Sciences, Municipal or Urban engineering, Water resources engineering, Materials engineering, coastal engineering, surveying and structures and construction engineering. The allied areas include Geophysics, Geodesy, control engineering, Biomechanics, Nanotechnology, Forensic engineering etc. 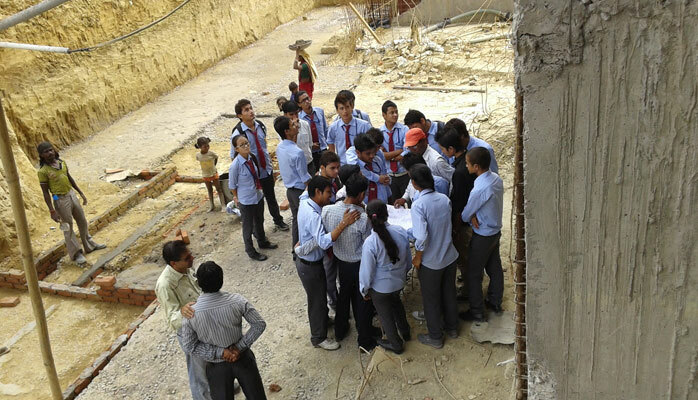 Civil engineering discipline has critical role in the public sector from local self –govts. to national governments as well as in the private sector from individual home owners to international companies. Civil Engineering professionals have wider career opportunities and in the developing world demand of qualified civil engineers is increasing. 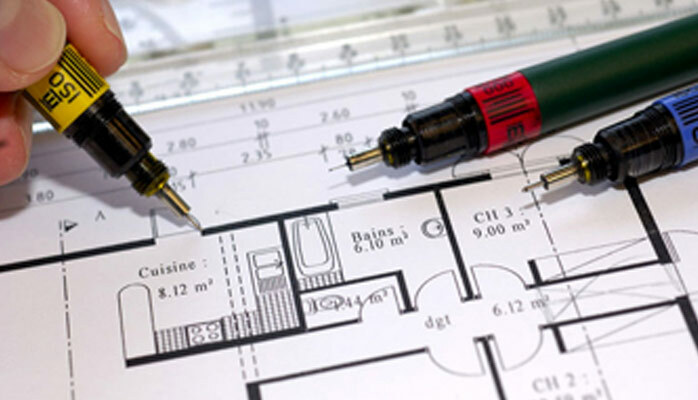 Civil engineers are required right from initial survey to complex analysis or design work to specialized consulting. 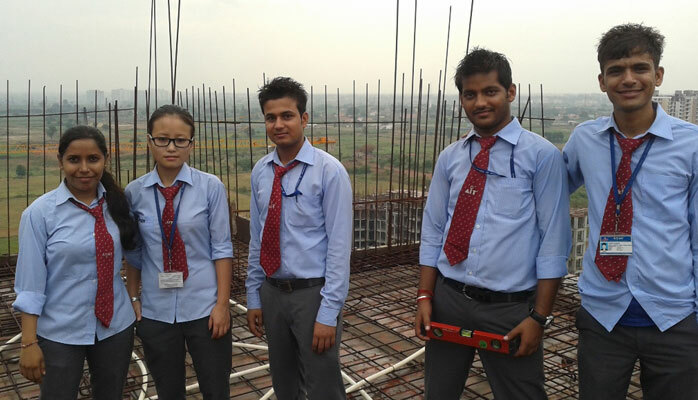 Aryan Institute of Technology, Ghaziabad has a dedicated full-fledged Civil Engineering Department which has experienced and expert faculty for all the subjects, as well as, well equipped laboratories and state –of- the -art facilities. 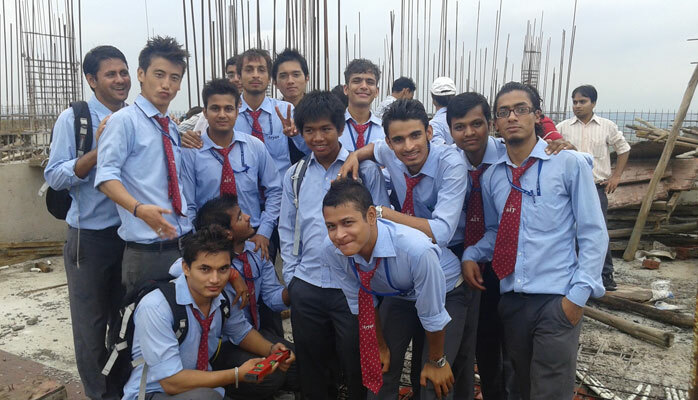 Students are groomed here to face the challenges in the professional world and to find the better career opportunities. 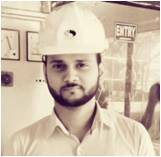 Many national and international regulations require the industries to employ civil engineers on permanent basis. 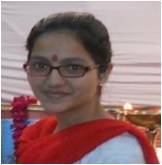 Civil engineers have immense possibilities of employment today in industry as well as government sector and research organizations. 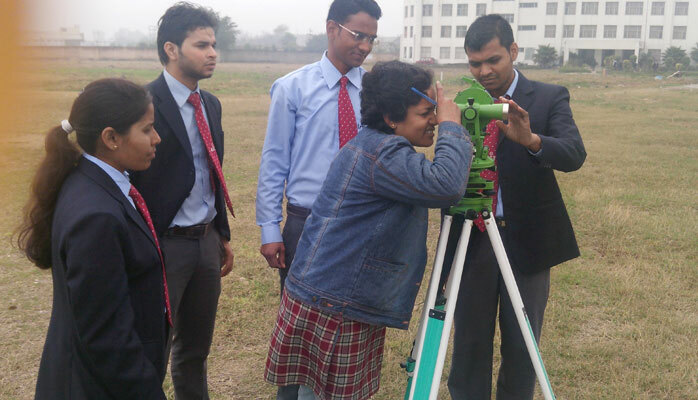 This laboratory provides a basic background to the students on techniques of surveying and operation of basic survey equipments. The major equipments available in this laboratory are Theodolite, Levels, Compass, Plane table, Auto-levels etc. This laboratory provides a basic background to the students on properties of fluid and also about the techniques used in water distribution system. It has versatile set up of equipments like buoyancy test, Bernoulli theorem, Friction Factor in commercial pipes, Bend Meter etc. 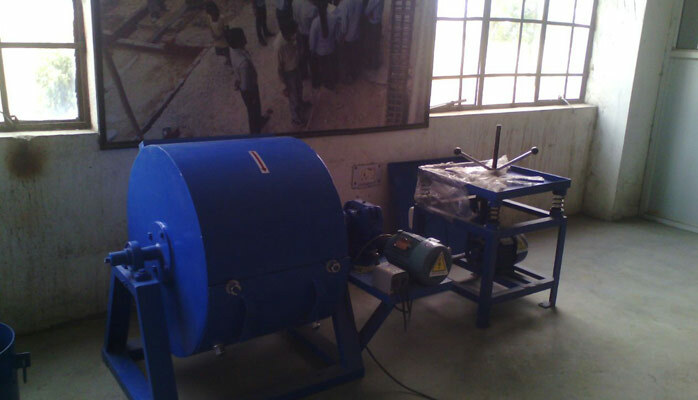 This laboratory provides a practical knowledge of working principles of a canal, Open channel & various hydraulic machines like turbines, pumps etc. It consists of Tilting Flume (10 m length), Francis turbine, pumps etc. This laboratory provides knowledge of advanced techniques of surveying and remote sensing. It has all the modern equipments like the GPS, Total Station, Satellite images, Aerial photographs, Electronic theodolites, etc. This laboratory provides the students the basic & advance knowledge about properties of concrete and other building materials like bricks, stones, cement etc. The major equipments available in this laboratory are digital compression testing machine, Los Angeles Abrasion testing, machines, Flexure testing machine, tensile testing machine, Blaines cement testing machine etc. This laboratory develops an insight about the classification and properties of rocks and minerals. It also provides the clear knowledge of the geographical conditions of our country. It has a large collection of samples of various rocks and minerals and models of folds, faults, contours, maps and tectonics charts etc. Equipments like pycnometer and celestial globe, Earth boundary layers are also available. 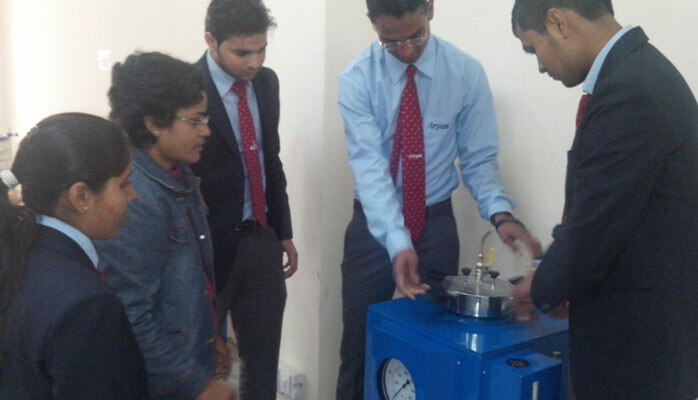 This laboratory imparts to the students a thorough knowledge about flow characteristics of water. It has a latest tilting flume of 10m length on which variety of experiments related to fluid flow can be conducted. It also provides the knowledge and ideas of different methods of agriculture, water supply, treatment of water etc. Total stations are mainly used by land surveyors and Civil engineers, either to record features as in Topographic Surveying or to set out features (such as roads, houses or boundaries). They are also used by archaeologists to record excavations and by police, crime scene investigators, private accident re-constructionists and insurance companies to take measurements of scenes. In today’s theodolites, the reading out of the horizontal and vertical circles is usually done electronically. The read out is done by a rotary encoder, which can be absolute, e.g. using Gray, or incremental, using equidistant light and dark radial bands. In the latter case the circles spin rapidly, reducing angle measurement to electronic measurement of time differences. Additionally, lately CCD sensors have been added to the focal plane of the telescope allowing both auto-targeting and the automated measurement of residual target offset. All this is implemented in embedded software. Also, many modern theodolites, are equipped with integrated electro-optical distance measuring devices, generally infrared based, allowing the measurement in one go of complete three-dimensional vectors — albeit in instrument-defined polar co-ordinates, which can then be transformed to a pre-existing co-ordinate system in the area by means of a sufficient number of control points. This technique is called a resection solution or free station position surveying and is widely used in mapping surveying. The instruments, “intelligent” theodolites called self-registering tachometers or “total stations”, perform the necessary operations, saving data into internal registering units, or into external data storage devices. GPS is a space-based satellite navigation system that provides location and time information in all weather conditions, anywhere on or near the Earth where there is an unobstructed line of sight to four or more GPS satellites. The system provides critical capabilities to military, civil and commercial users around the world. GIS is a relatively broad term that can refer to a number of different technologies, processes, and methods. It is attached to many operations and has many applications related to engineering, planning, management, transport/logistics, insurance, telecommunications, and business. For that reason, GIS and location intelligence applications can be the foundation for many location-enabled services that rely on analysis, visualization and dissemination of results for collaborative decision making. The flume consists of a channel of. 10 m size At the inlet a flow steadying section is provided so that there will be fewer disturbances at the test section. The gates provided at the upstream and downstream of the test section help to regulate the depth of flow. Depth measurements can be achieved with the help of a hook or point gauge; mounted on a trolley which gives longitudinal and transverse movement. The slope of the bed can be adjusted to give positive or negative slopes. An arrangement to obtain quiescent flow. Gates for regulatory the depth of flow, one at the upstream and the other at the downstream. A point gauge trolley for depth measurement. Models of Sharp load crested and Ogee weir, Venturiflume etc. Transparent middle half test section for visualization of flow over test section. Study of open channel flow with slope. Study of specific energy curve. Study of Nape profiles over a Sharp crested weir. Calibration of Sharp crested. Broad crested and Ogee weir. Continuous roll autographic recorder supplied as standard to enable study of the behaviors of materials. Compression Testing Machine is designed to test materials and other materials under compression, bending, transverse and shear loads. Hardness test on metals can also be conducted. For testing of beams of 100X100X500 mm and 150X150X700 mm. The concrete test hammer is an instrument used for the non- destructive testing of concrete; it allows one to have a quick estimate of the strength of concrete. 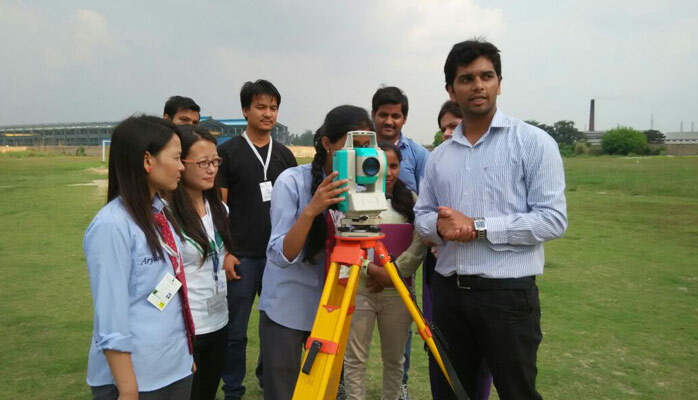 We have organized various Industrial Visits/ Training Camps like Expo visits at Pragati Maidan, Ganga Jal Water Treatment Plant Visit at Pratap Vihar Ghaziabad, conducted a survey Training Camp based on “ Working of Total Station “organized by our Institute in collaboration with “ Consbull Engineering Redefined Limited” .